The Cottage Collection is here for you and is available in all six sizes so everyone can sport a piece of true Canadiana. It’s proving to be a perfect gift too! 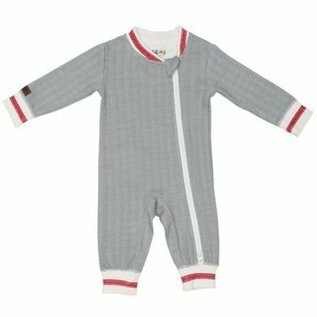 We thought you would appreciate a footless, double zippered, play suit, to offset your regular Juddlies sleepers. You asked for something without feet, so the movers and shakers could run with bare toes, and some of you simply prefer a footless outfit.